We can count on one hand - actually, one finger - the number of Italian Renaissance plays with a Jew in the title role. And this work - Michelangelo the Younger's L'Ebreo - is it. ...and the pieces began falling into place. And a notably adventurous author at that. In 1613 - when Michelangelo the Younger signed off on his draft of L'Ebreo - a new and intriguing species of Jew had recently surfaced in the Medici capital. And these exotic "Jews from the East" seized the attention of everyone in Florence from the Grand Duke on down. For years, I have been working my way through the local archives, investigating the realities of Jewish life in Renaissance Florence. While Michelangelo's decision to write a Jewish play took me by surprise, the situations that he described made immediate sense. circa 1890 - after the Jews had left. 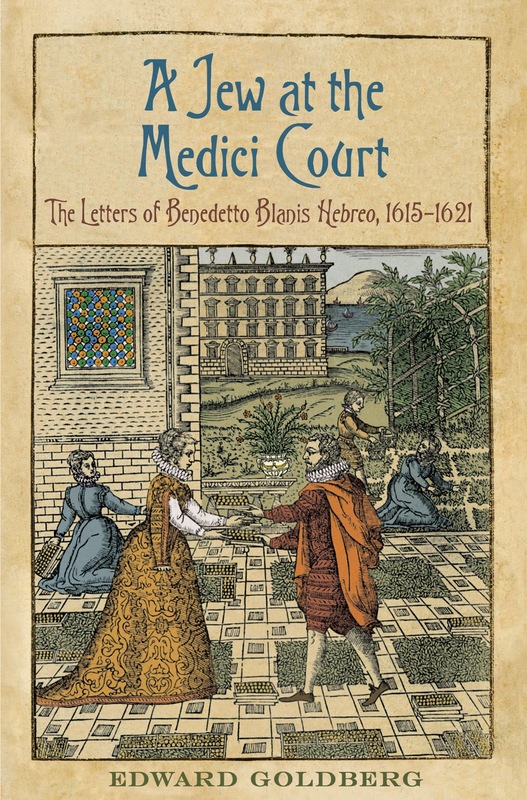 In 1570-71, Grand Duke Cosimo I de' Medici and his heir, Francesco I, mandated Florence's first Ghetto, limiting Jewish settlement in their realm to a tiny enclave in their capital city. This was forty years - a full generation - before Michelangelo began writing L'Ebreo / The Jew. the Ghetto. The red dot indicates its relative size in the urban context. 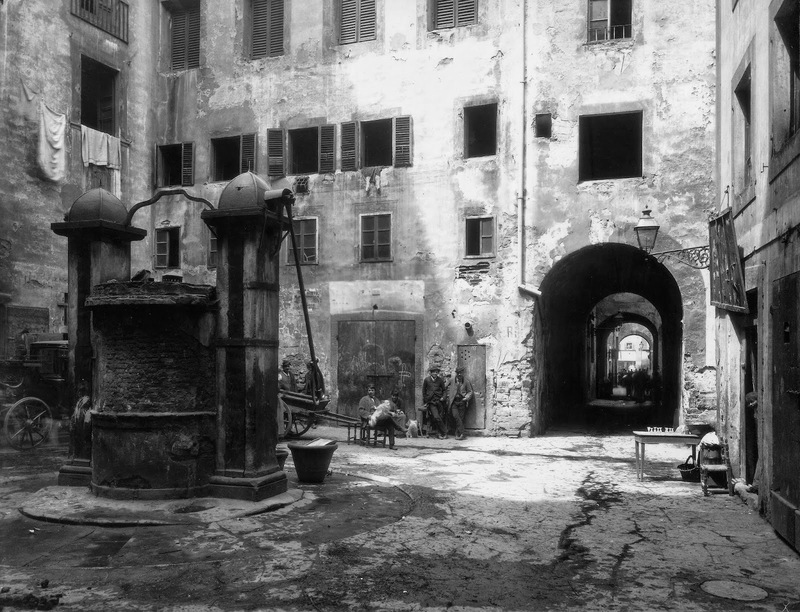 The Florentine Ghetto was conceived as a "ghetto" in the strictest sense of the word - a closed environment inhabited by an economically, politically and socially marginalized underclass. These were mostly impoverished Italian Jews, with a single synagogue professing the Roman Rite. one narrow street and two gates that were locked at night. But the Grand Dukes' austere policy held sway for only a few decades, battered by harsh economic reality. In Florence, financial disaster loomed after the collapse of the local wool industry. And like many rulers before and after, the Medici swallowed their religious principles and embraced "the Jewish solution". 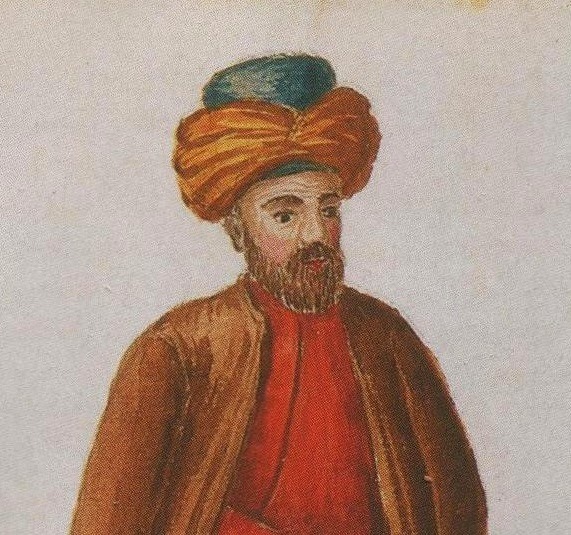 1492: Sultan Beyazid II welcomes expelled Iberian Jews to Turkey. Back in 1492 and 1497, the ancient Israelite communities of Spain and Portugal were dispersed by the newly empowered Catholic monarchs - cutting loose a critical mass of capital and commercial expertise. 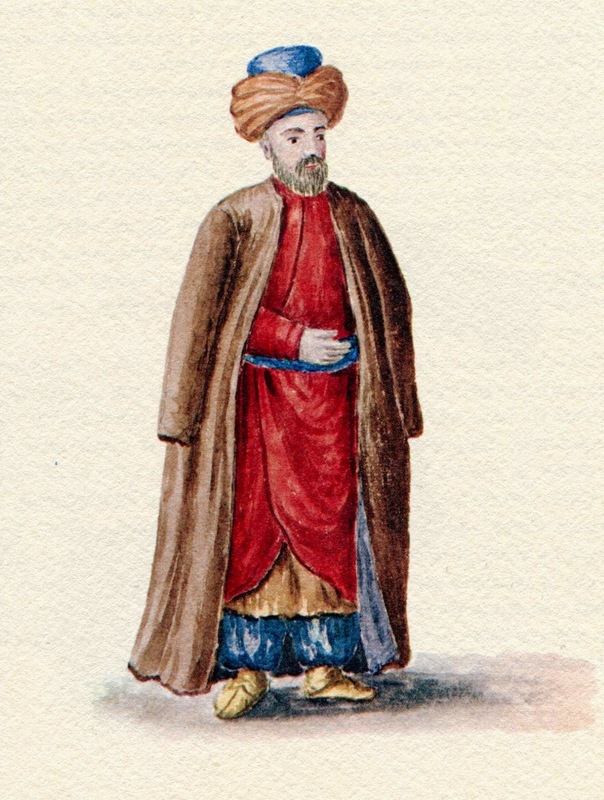 Most of these exiles settled in the Ottoman Empire - giving rise to new patterns of international trade and a distinct Hispano-Turkish Jewish culture. 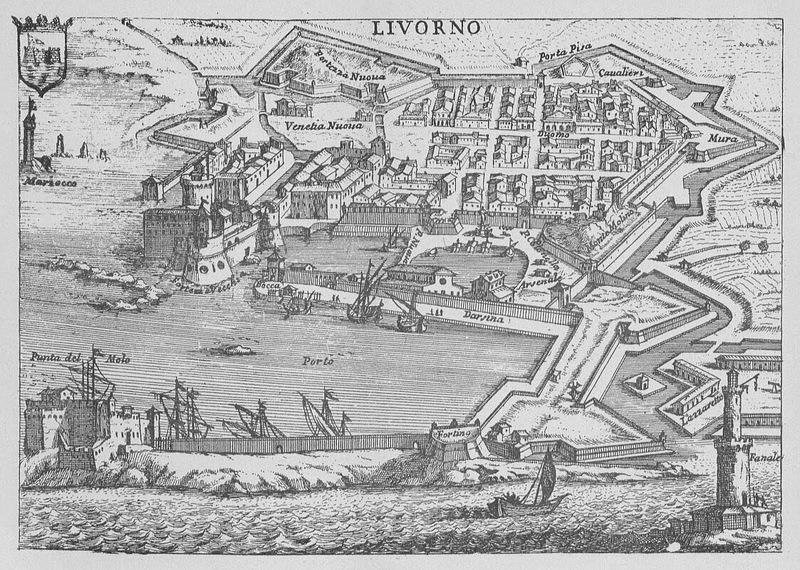 Livorno in the Seventeenth Century - a flourishing free port. 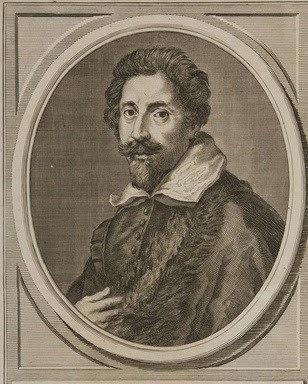 Grand Duke Ferdinando I de' Medici (second son of Cosimo I) made a daring bet - seeking to transform the coastal ports of Pisa and Livorno into thriving centers of industry and commerce. 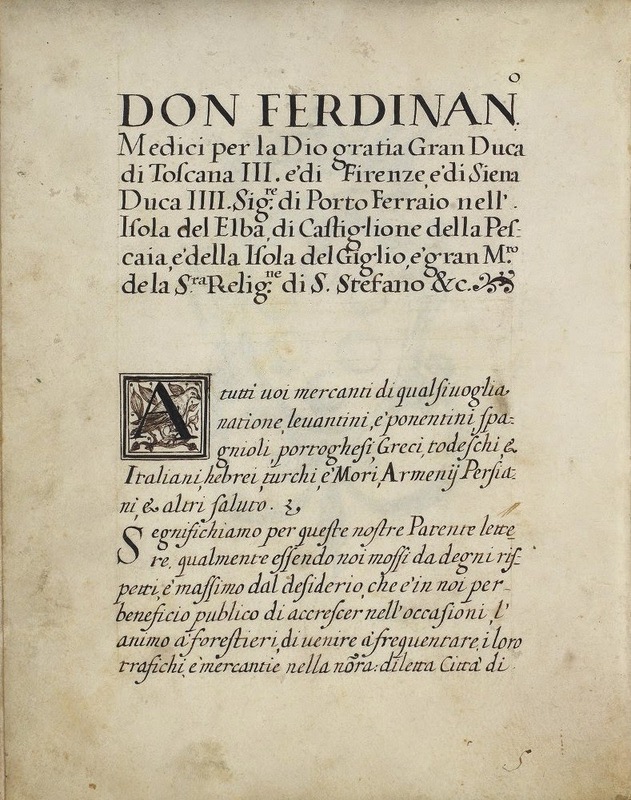 In 1591-93, Ferdinando issued an official invitation to the Jews of the Iberian diaspora. These affluent, skilled and highly cosmopolitan traders could live and worship more or less freely - without a designated Ghetto. The Livornina Decree of 1593, inviting Jewish merchants - especially rich and well-connected Levantini - to settle in the Tuscan port cities of Pisa and Livorno. Levantines (Jews from the Levant or Eastern Mediterranean) soon made their presence felt in the two coastal cities - energizing the Tuscan carrying trade and starting up new enterprises. Then - after a few years - they read the fine print in the original decree. 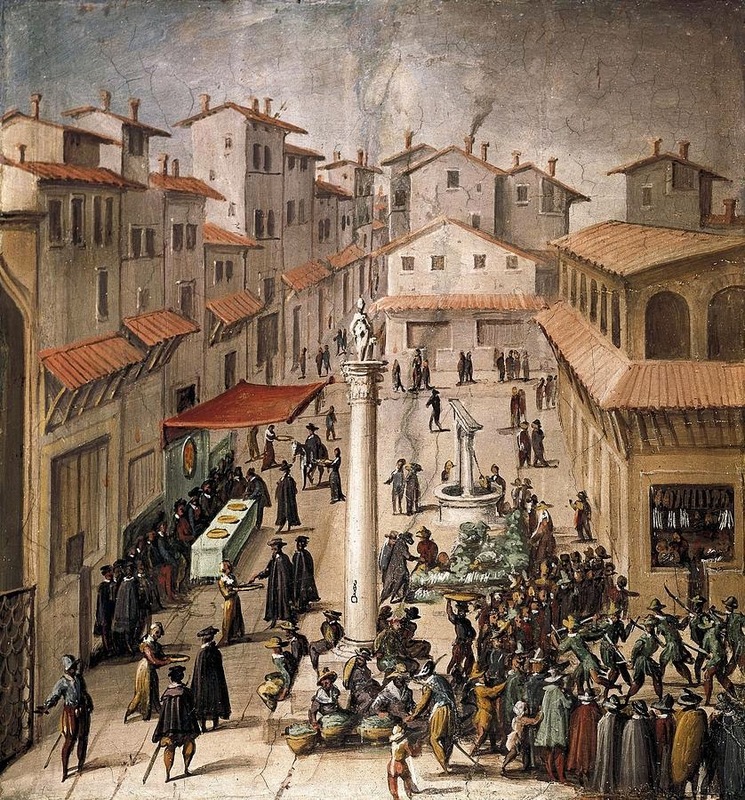 Although the Medici rulers had focused on Pisa and Livorno, their charter also allowed them to move freely throughout the Florentine State - living, worshiping and doing business wherever they wished. 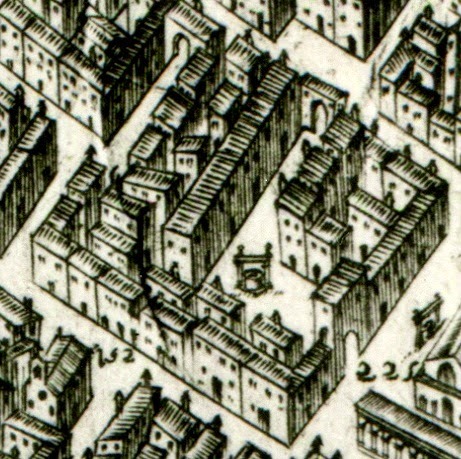 Jewish Ghetto (Giovanni Stradano, fresco, Palazzo Vecchio). The chief prize was Florence - the opulent seat of the Medici Court and the largest city (and domestic market) in Tuscany. 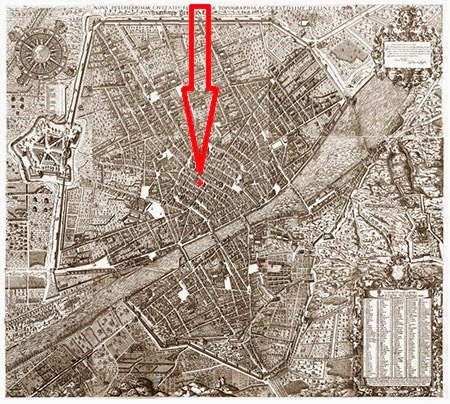 By 1596, enough Levantines were passing through Florence to warrant a separate prayer space for the Sephardic Rite. It was only a matter of time until these influential merchants from the East decided to put down roots - establishing homes and settling their families. In 1612 - while Michelangelo the Younger was conceiving his "Jewish comedy" - the Levantines began a major expansion of their synagogue. Meanwhile, the Medici administration was upgrading choice apartments in the Outer Ghetto (with direct access to the city) for this better class of foreign Jew. A clash was inevitable between the privileged Levantines and the unprivileged Italians - resulting in communal strife, protracted lawsuits and occasional physical violence. 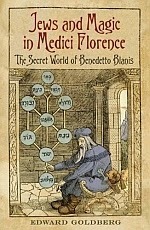 Jews and their doings - real and imagined - had always obsessed the Christian population of Florence. But never had these exotic strangers been so conspicuous, so varied and so potentially entertaining. 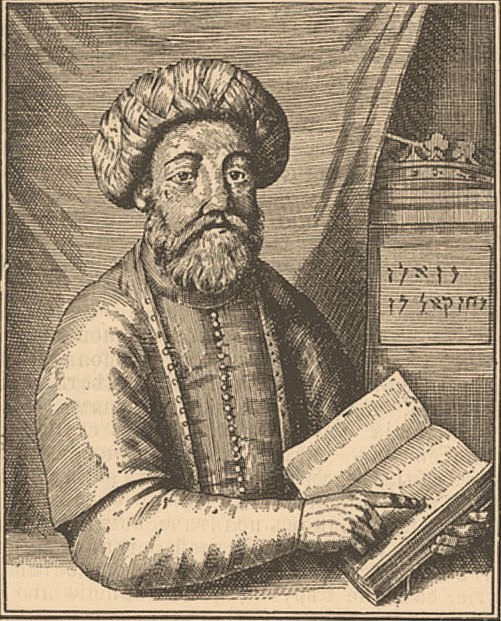 Sabbatai Zevi, the "False Messiah"
Melchisedec - the Jew in L'Ebreo - is a picturesque Eastern transplant. With a turban, a long robe and a massive, evidently hennaed, beard. 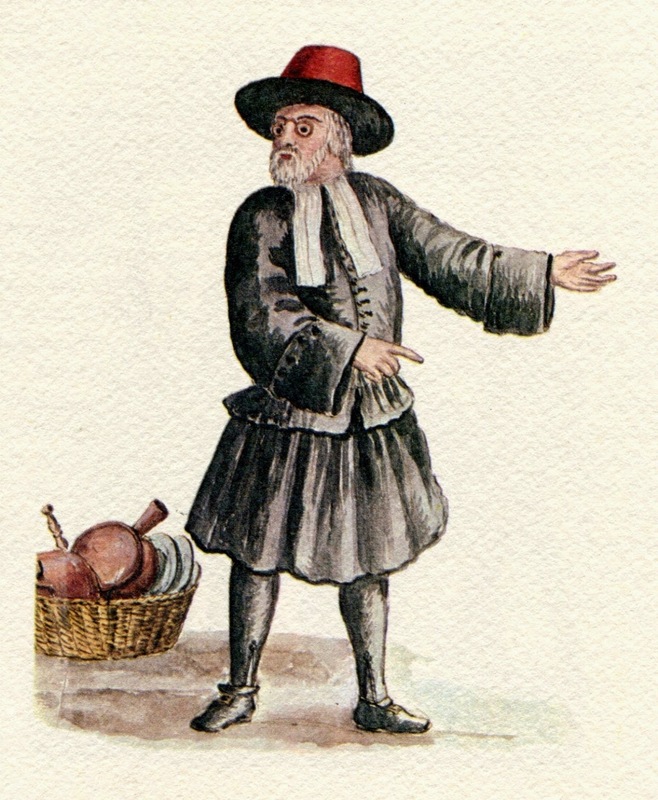 In one of the play's most comic scenes, Federigo (the marriage broker) and Ambrogio (the Doctor of Law) decide which of them is best suited to impersonate a Levantine Jew. d’un criniere, cioè volsi dir d’un turbante. Federigo: Well, you’re put together in just the right way. And you're a lawyer, so you've had plenty of practice lumbering around in a long robe (toga). Just pop something on your head… A turban (turbante)! I see a turban! Then you’re good to go. Messer Ambrogio: Ma io sarei forse riconosciuto o e’ comincia a venirne. mi darebbe il quore d’acconciarvi in modo che voi riuscireste. Doctor Ambrogio: But what if someone recognizes me? Federigo: Who’s going to recognize you in that outfit—once you stick on a fake beard? Just make sure it’s plenty long and a different color than your hair. But don’t worry! I’ll be right there - to dress you up, add the finishing touches and cheer you on. levantino ci bisognan più lettere che non ho io. Federigo: ... I really don't know if I'm up to playing a Levantine (levantino). I might just manage one of our homegrown local Jews (un ebreo nostrale). But a Levantine (levantino)? Sorry! That's just too much of a stretch! Michelangelo Buonarroti the Younger was keenly aware of the crucial distinction between "Levantine Jews" and "our homegrown local Jews". And like everyone else in Florence, he shared a common lore of Jewish stereotypes. 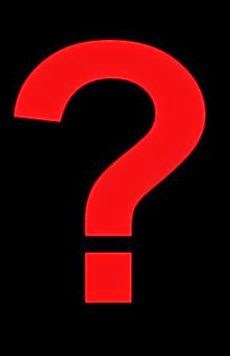 But was there something more? What about the author's own personal experience?